OUR Center is doing something a little different in honoring October’s Gay Hxstory month this year. 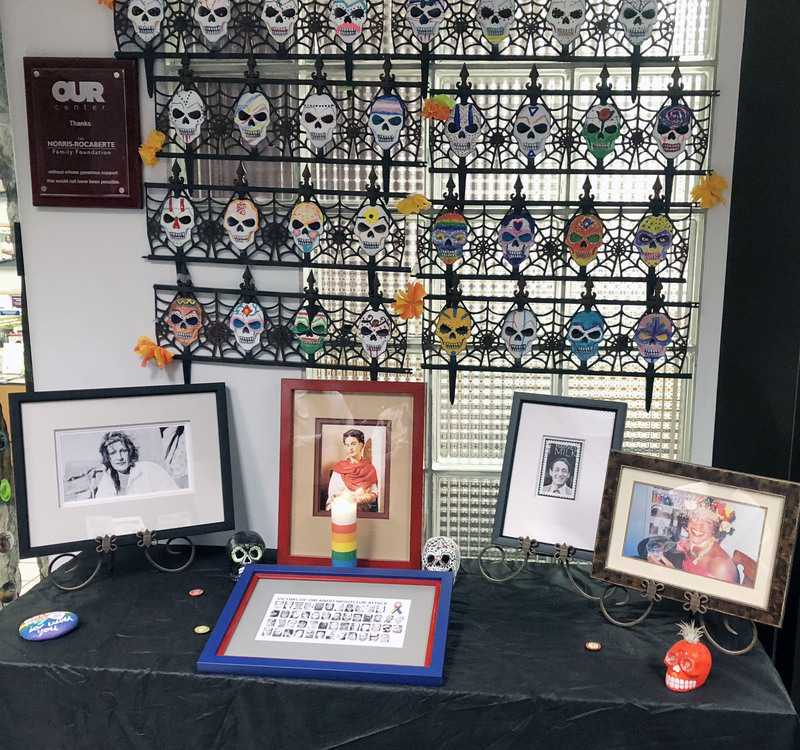 Upon entering, visitors to the local GLBTQ+ Center will find a small Dias de Los Muertos (Days of the Dead) altar honoring those who lives lost at Pulse NightClub in Orlando in June 2016 and several gay icons such as Harvey Milk and Sylvia Rivera. The altar was the idea of OUR Center Intern Steph Landeros. According to Steph, it was a perfect way to close out GLBTQ+ Hxstory month by honoring the 48 Pulse NightClub victims, who were mostly Latinx and several gay icons. Dias de Los Muertos is a tradition and holiday in Mexico. The multi-day holiday focuses on gatherings of family and friends to remember friends and family members who have died, and help support their spiritual journey. Altars traditionally contain pictures of those the altar is dedicated to, their favorite foods, candles, incense and flowers. The alter will be up at OUR Center now through November 3. OUR Center is located at 1745 South Wells Ave, Reno, just past the roundabout on So. Wells or one block east of So Virginia and Regency Way. Read the full story in the November issue of therenogaypage.